This title is one of the top ones. 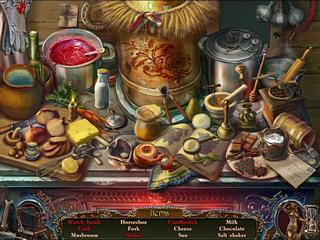 The series is known for well done hidden object puzzle adventure games. Dark Tales: Edgar Allan Poe's The Masque of the Red Death is no exception. The game follows the modern trends of the genre very well. The game play offers you many entertaining things, but none of that is something new to the genre. The game retells (or replays) you one of the stories by Edgar Allan Poe. This one is quite interesting since it is about justice, and justice is something that requires devine wisdom to be found. A French town is tortured by a man in a mask. That's what you hear when you are sent there and tasked to solve. But that's not what you find out from teh local citizens as they rejoice over the panishment for the officials. It's up to you to find the justice here! The game is increadibly beautiful and detailed and very nicely presented through what you see and hear. The game play offers you many entertaining things, but none of that is something new to the genre. At the same time not all games today have all that. 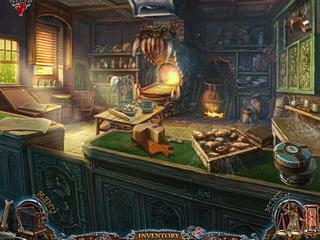 The hidden object scenes are interactive and the mini-games are fun to play. The challenge level is not too high which might be a problem for the more experienced players. There's a bunch of the extras. There's a map to travel and a camera to take pictures. You will also collect different items for you pet cat. The game is great if you preffer this genre. It is not something you want to miss. This is Dark Tales:Edgar Allan Poe's The Masque of the Red Death for Mac review. Download this game here.